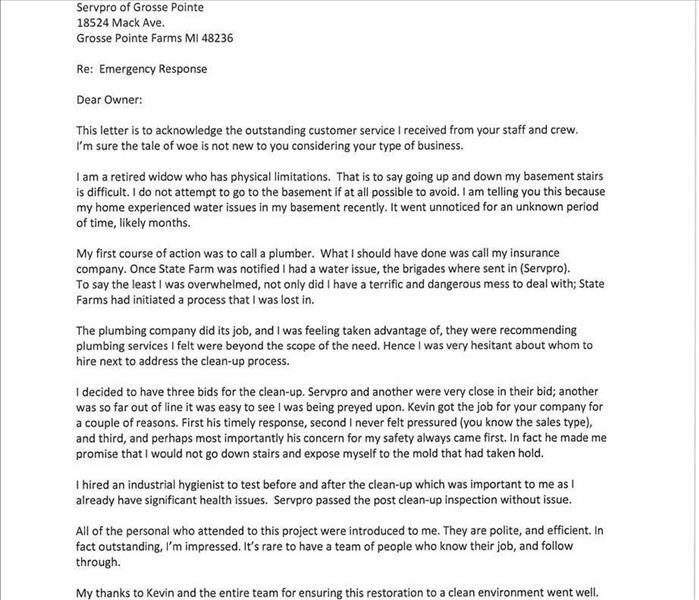 This letter is from a customer we did a Mold Remediation job for. This customer explains in her letter that we worked well with her, but in fact, she also worked well with us! She did everything that we needed her to do in order to safely and efficiently remove the mold that was in her basement. We wanted to share her letter and also acknowledge how great some of our customers are. 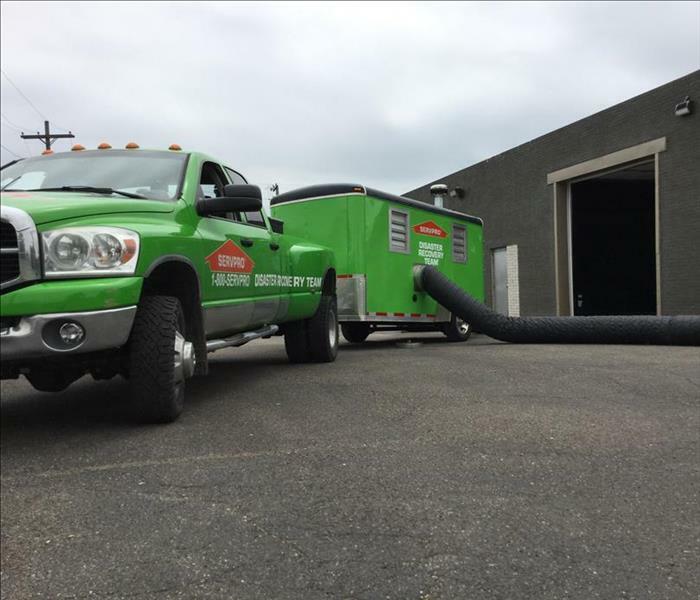 This Self-Contained Heater Trailer makes it easy to take powerful, dependable heat to any SERVPRO of Grosse Pointe job site! This heater can be used to heat up a building to kill bed bugs or to simply heat a job site for a quicker dry-out time. Call 313-882-5499 if you have any problems and we will be there to help! 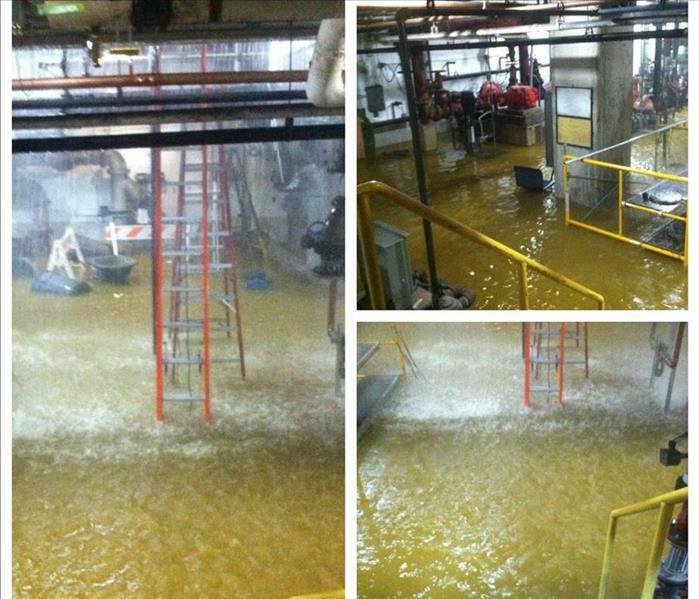 Here are a collection of photos from the flooded control room at Cobo Hall in Detroit, MI. Luckily, for them, SERVPRO of Grosse Pointe was on site for a business convention when this flood occurred and when they told us they had a problem, we went straight to work! We extracted the water and placed many air movers and dehumidifiers to dry out the room quickly. We had constant monitoring of this job because of the amount of water. One of the services that SERVPRO Of Grosse Pointe offers is the removal and disposal of Mayflies or Fishflies from buildings. This is at First Merit Bank in Grosse Pointe. We removed the fishflies before bank hours that way they don't have to worry about their customers not coming in or any of the bugs getting inside to be a bother. SERVPRO of Grosse Pointe was all hands on deck at a big commercial job at the Amerisource Industrial Supply building. The building suffered a large water loss and we were there to make it "Like it Never Even Happened"! We responded quickly so they could get back to their business. Here is our crew cleaning up a water loss at the Grosse Pointe Hunt Club (GPHC). The GPHC has a pipe burst and they called SERVPRO of Grosse Pointe to clean and dry the damaged floors, walls, and rooms. Here is our crew doing a carpet cleaning at one of the Waltonwood Senior Communities in our area. Our crew performs these cleanings, after hours, when needed by the facilities. As you can see from the picture, the left side has been cleaned, the right side is about to be cleaned. 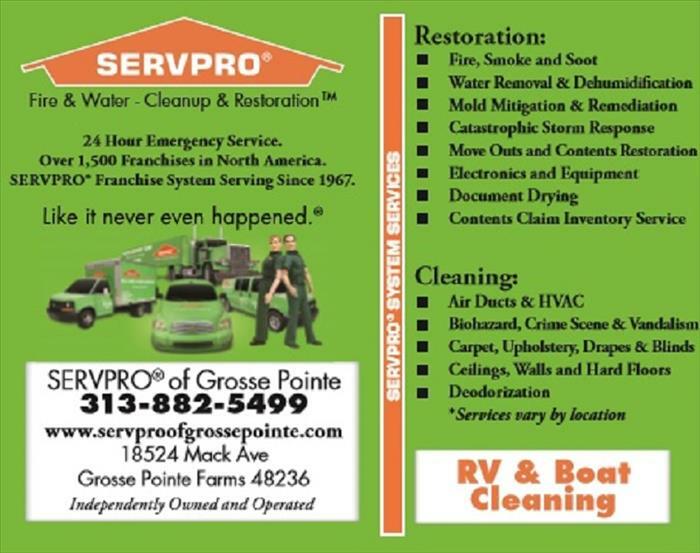 Here is one of our SERVPRO of Grosse Pointe crew members cleaning an RV. This customer came to us, from about an hour away, because he said no one else would clean his RV. We cleaned the carpet, the furniture, the bathroom, storage area, and deodorized the whole RV. He was VERY happy with our work! 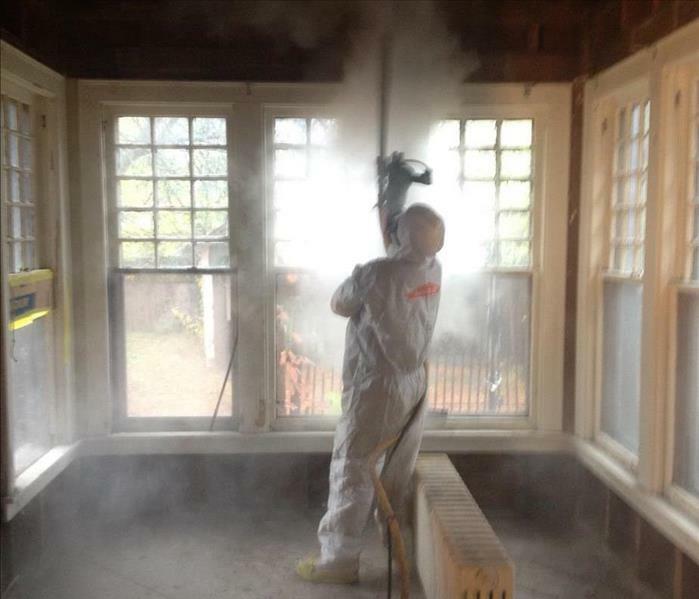 Pictured here is one of our certified crew members dry ice blasting a room at a house. In this case, we were ice blasting to get rid of mold that the homeowner had. Here is a picture of one of our advertisements. Since we are located in the Grosse Pointe area, we offer RV and Boat Cleanings! Call us today, 313-882-5499 and set up an appointment! !